Ian is a London-based independent Chief Data Scientist who coaches teams, teaches and creates data products. More about Ian here. Ian is a London-based independent Chief Data Scientist who coaches teams, teaches and creates data products. At the end of September I was honoured to receive the Community Leadership Award from NumFOCUS for my work building out the PyData community here in London and at associated events. This was awarded at the NumFOCUS 2018 Summit, I couldn’t attend the New York event and James Powell gave my speech on my behalf (thanks James!). 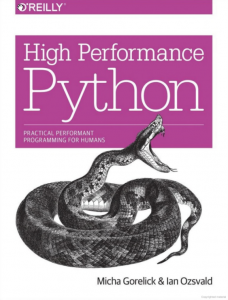 I’m humbled to be singled out for the award – things only worked out so well because of the work of all of my colleagues (and alumni) at PyDataLondon and all the other wonderful folk at events like PyDataBerlin, PyDataAmsterdam, EuroPython (which has had a set of PyData sub-tracks) and PyConUK (with similar sub-tracks). NumFOCUS posted a blog entry on the awards, in addition Kelle Cruz received the Project Sustainability Award and Shahrokh Mortazavi received the Corporate Stewardship Award. Cecilia Liao and Emlyn Clay and myself started the first PyDataLondon conference in 2014 with lots of help, guidance and nudging from NumFOCUS (notably Leah – thanks! ), James and via Continuum (now Anaconda Inc) Travis and Peter. Many thanks to you all for your help – we’re now at 8,000+ members and our monthly events have 200+ attendees thanks to AHL’s hosting. 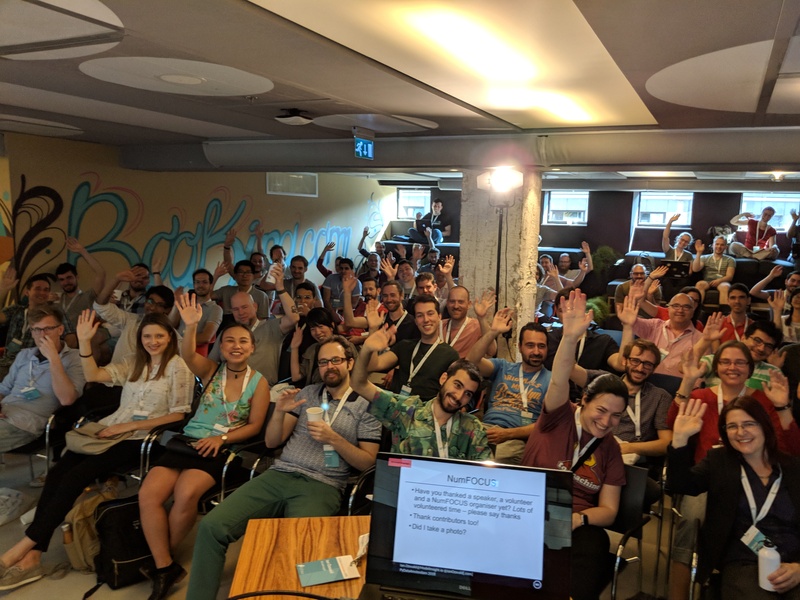 If you don’t know NumFOCUS – they’re the group who do a lot of the background support for a number of our PyData ecosystem packages (including numpy, Jupyter and Pandas and beyond to R and Julia), back the PyData conference series and help lots of associated events and group. They’re a non profit and an awful lot of work goes on that you never see – if you’d like to provide financial support, you can setup a monthly sponsorship here. If you currently don’t provide any contributions back into our open source ecosystem – setting up a regular monthly payment is the easiest possible thing you could do to help NumFOCUS raise more money which helps more development occur in our ecosystem. 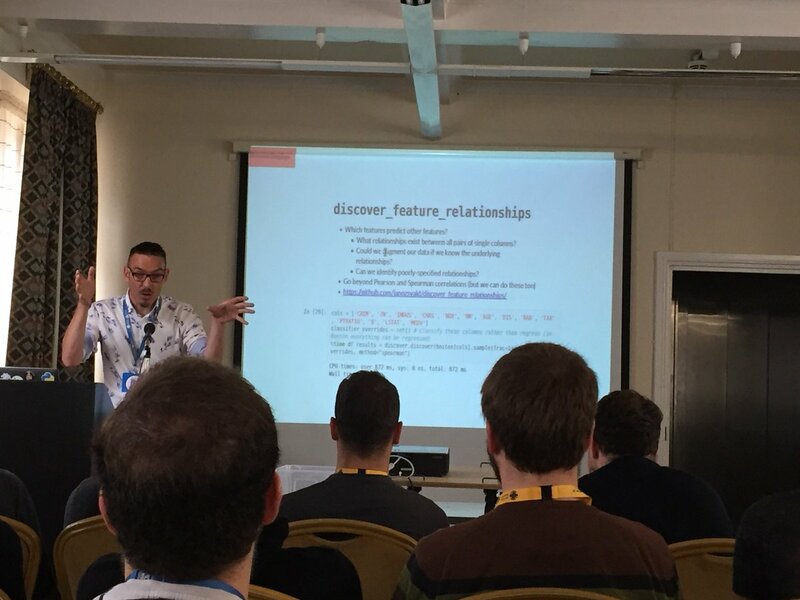 Last weekend we had another fine PyConUK (2018) conference. Each year the conference grows, the Django Girls group had 70 or so women learning Django (and, often, Python for the first time). The kids hack day was a great success. The Pythonic-hardware demo session was fun. Each year PyConUK encourages first-time speakers so we had the diverse-as-usual set of speakers and topics. If you’ve never attended – I’d encourage you to think on at least attending next year, and if you’re game do think about submitting a talk (even a 5 minute lightning talk as an easy first contribution). 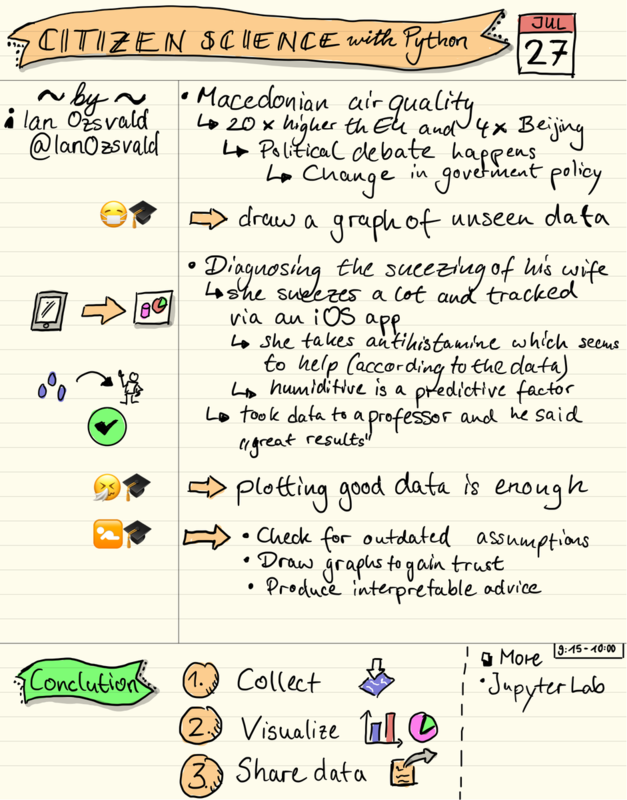 This year I chaired two sets of sessions on the PyData track and spoke on the Diagramatic Diagnosis of Data. 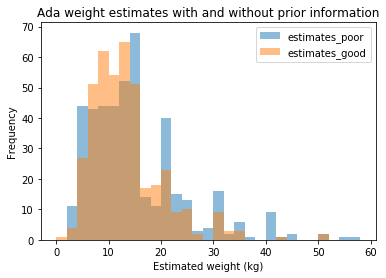 Slides are linked here (note that the PDF lacks some images and formatting), these are the PDF export from a live Jupyter Notebook presentation (here’s the repo). If you’re roughly in the area of Cardiff you might want to look at the PyDataCardiff and PyDataBristol meetups. They’d be great places for you to meet local community members and, perhaps, to practice giving a talk that you might later submit to PyConUK next year. 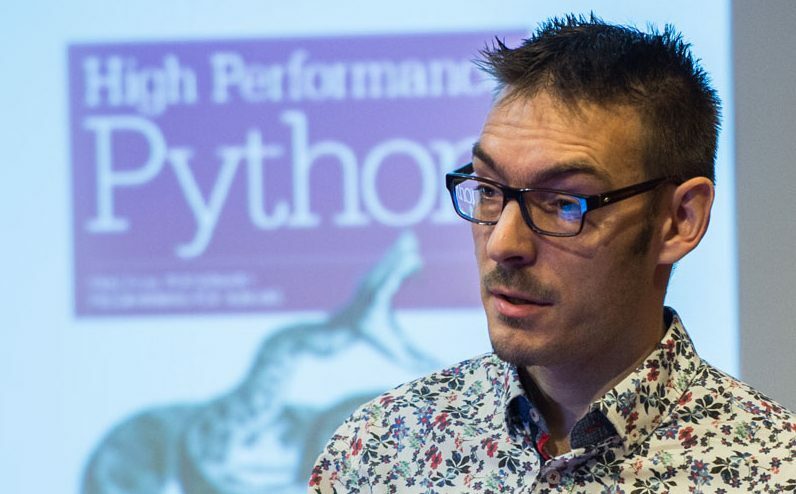 If you’re in London then you’re very welcome to attend our PyDataLondon or maybe you’ll want to look at the London Python meetup. This weekend I got to attend PyDataAmsterdam 2018 – this is my first trip to the Netherlands (Yay! It is lovely here). The conference grew on last year to 345 attendees with over 20% female speakers. In addition to attending some lovely talks I also got to run another “Making your first open source contribution” session, with James Powell and a couple of people in 30 minutes we fixed some typos in Nick Radcliffe’s tdda project to improve his overview documentation. I’m happy to have introduced a couple of new people to the idea that a “contribution” can start with a 1 word typo-fix or adding notes to an existing bug report, without diving into the possibly harder world of making a code contribution. We also had Segii along as our NumFOCUS representative (and Marci Garcia of the Pandas Sprints has done this before too). If you want to contribute to the community you might consider talking to NumFOCUS about how to be an ambassador at a future conference. 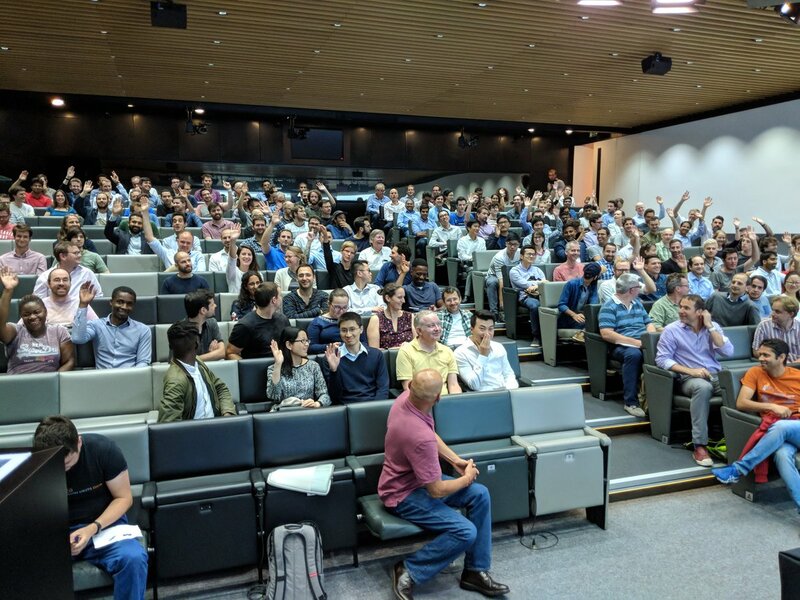 I’ve updated some of the material from my London talk, particularly I’ve added a few slides on SHAPley debugging approaches to contrast against ELI5 that I used before. I’ll keep pushing this notion that we need to be debugging our ML models so we can explain why they work to colleagues (if we can’t – doesn’t that mean we just don’t understand the black box?). I went to this talk straight from the airport and I’m glad I made it. Ian shows a lot of passion for visual understanding of ML that leads to better understanding of complex models. I’m really happy with the growth of our international community (we’re up to 100 PyData meetups now!). As usual we had 5 minute lightning talks at the close of the conference. I introduced the nbdime Notebook diff tool. I’m also very pleased to say that I’ve had a lot of people come up to say Thanks after the talk. 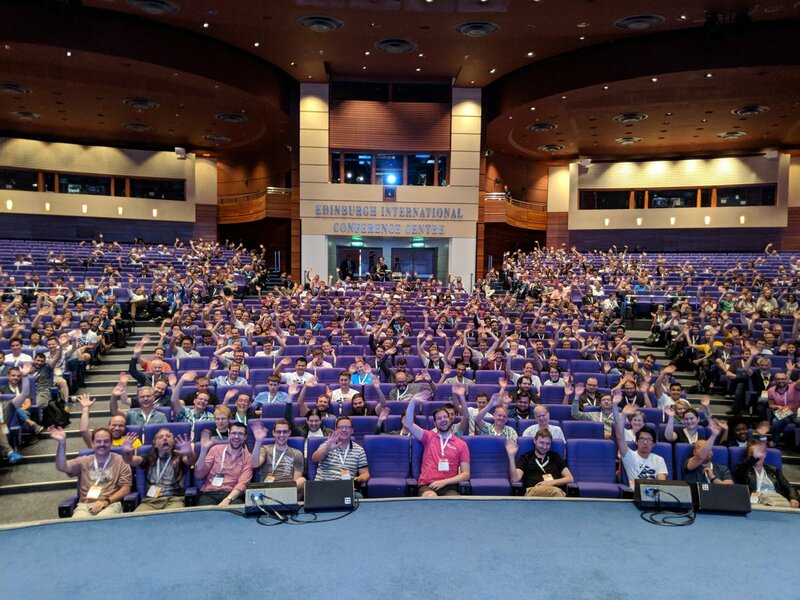 This is no doubt because I now highlight the amount of work done by volunteer conference organisers and volunteer speakers (almost everyone involved in running a PyData conference is an unpaid volunteer – organisers and speakers alike). We need to continue making it clear that contributing back to the open source ecosystem is essential, rather than just consuming from it. James and I gave a lightning talk on this right at the end. Update – I’m very happy to see this tweet about how James’ and my little talk inspired Christian to land a PR. I’m also very happy to see this exchange with Ivo about potentially mentoring newer community members. I wonder where this all leads?